Synthetic drugs are nothing new; throughout the 20th century, people sought out ways to mimic the effects of their drugs of choice to get the same effects at a lower cost. Synthetic cocaine merely is one such drug that has received a significant amount of media attention. Of course, the reasons the drug has received media attention are not good. Bath salts became a household term due to the numerous deaths and erratic behavior associated with their use. Combining Methylenedioxypyrovalerone (MDPV) and Lidocaine, the drug is powerful, lethal, and perhaps even less controlled in production than the product it mimics, as how to make fake cocaine is hardly a science. Anyone using or considering using fake cathinones needs to know the dangers and effects. How Is Synthetic Cocaine Made? How to Avoid the Fake Drug Use? Is cocaine a stimulant? Yes, this is a stimulant drug first used thousands of years ago in South America, where the coca leaves were chewed for their stimulant effects. In the 1900s, scientists were able to isolate the purified chemical that delivered these effects, using it as a medication. Now, it is a Schedule II drug, meaning it is highly addictive and often abused, but can still be used in medical settings legally. Because the drug is expensive to purchase and the ingredients are not easy to access, many users began looking into how to make fake cocaine to use the drug recreationally. The result was synthetic cathinones, which mimic the stimulant properties in the khat shrub. The effects produced are similar to many stimulant drugs, including coke—which is why they are often called synthetic cocaine. Coke itself is dangerous, but because there are more variables at play in synthetic cathinones, the risks are even higher. Bad cocaine is a significant problem, killing many, but synthetic coke can use any number of ingredients in various concentrations, so the user has even less of an idea as to what they are using. There are some ways to take the drug: snorting, smoking and injecting cocaine. If someone suspects that a loved one may be using synthetic cathinones, they need to look for symptoms of use. Symptoms may last for as little as a few hours or as long as several days. However, these drugs are not easy to test for; traditional drug screenings will miss them. To make a diagnosis, the user often has to admit to what they are using. Something that a loved one can watch out for is the use of specific slang terms that refer to synthetic cocaine. These terms are used by those taking the drug to hide what they are talking about, making it easier to discuss their drug use or obtain more of the drug without authority figures and police understanding what is going on. Most of the names are related to the appearance or effects of the drug. When loved ones know what to listen for, it makes it easier to understand what is going on. 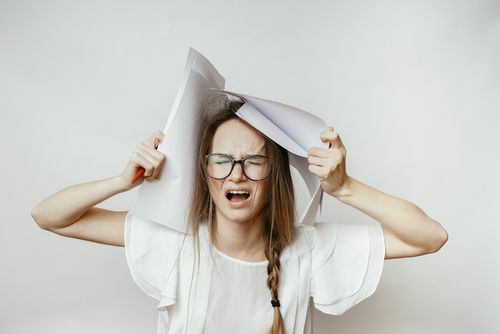 You can also look for signs of cocaine addiction and symptoms of cocaine withdrawal as these will be similar to those seen in users of synthetic stimulant drugs. How Synthetic Cocaine is Made? Many users looking for easy to access to drugs, or just a cheaper way to use, will look into how to make fake cocaine that works. Online, there are numerous recipes available for creating fake cathinones, but when examining them, it becomes clear that they are all quite different from each other. This is problematic as it means that making fake cocaine is not an exact process and that the results will not always be the same. Also, an issue is the ingredients used. These tend to be either difficult to come by or elements that themselves must be created by the user making the fake cathinones even less predictable, which translates into being even more dangerous. Even for those uninterested in using synthetic cathinones, this can be problematic. 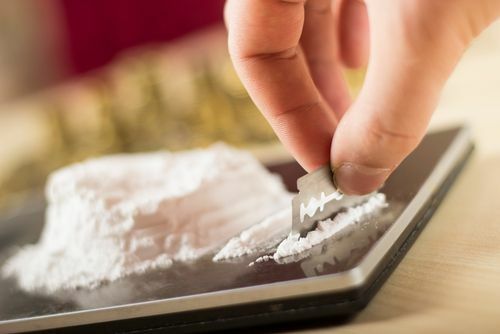 Because synthetic coke is cheaper than the real product, many street drug dealers will cut actual cocaine with the fake product or other substances, such as baby powder. As a result, many cocaine users worry about how to tell if cocaine is real or fake. The problem is that no single test allows the user to determine the legitimacy of the product; since synthetic cathinones use many different ingredients, multiple chemical tests would need to be run to assess if the product is fake or not. Synthetic cocaine has significant effects on the body and brain, but because they are relatively new, not enough research has been conducted, and many things are still not known. Also problematic is that there are many different recipes used to create synthetic cocaine, and each one can have different effects and dangers. The most common element found in synthetic cathinones is methylenedioxypyrovalerone (MDPV), which is considered to be 10 times as powerful as cocaine itself. The effects and dangers associated with MDPV alone are significant. In 2012, nearly 3,000 people were seen in emergency rooms in the US due to the effects of taking synthetic cocaine, and this number has only increased as the drug has become more popular. While fake cocaine deaths have been reported, it is unclear how many cases there have been. Cocaine users often worry about consuming fake cocaine, both because of the associated risks and because they want to get what they pay for. However, there is no way to make fake cocaine obvious when purchased. As noted above, there are tests that can be used, but numerous tests must be run; by the time all tests would be complete, chances are there would be little product left, or it would be unusable. So how can users avoid fake cocaine? Ultimately, the only way to do so is to cease the use of cocaine altogether, including snorting and injecting cocaine. Any cocaine purchased on the street has the potential to be cut with other ingredients, including those that can be deadly. If using, cocaine rehab is needed. Because synthetic cocaine is cheap and powerful, many users are tempted to abuse it. However, it comes with significant risks. 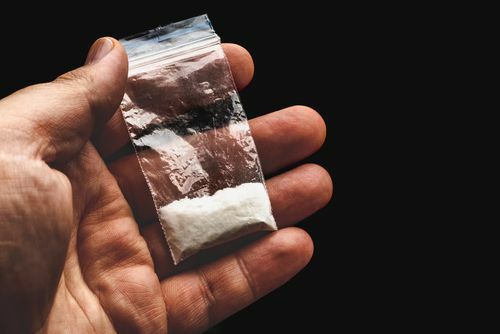 Even those not interested in synthetic cocaine may be at risk since dealers often cut cocaine with fake cocaine to lower their costs and increase their profits. The only way to avoid the negative effects of this drug is not to use cocaine or any stimulant street drugs. If you or a loved one are using synthetic cocaine, now is the time to get clean. Our addiction specialists are waiting to help you. Call us at (888)-459-5511.